Paying Your Fines and Renewing Your Parking Permits Has Become a Lot Easier in Abu Dhabi! Abu Dhabi residents will now request and renew residents parking permits and pay Mawaqif violation tickets through online, according to authorities. 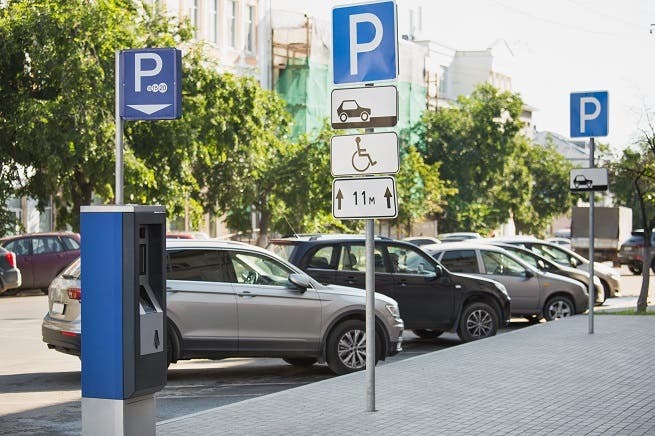 The Department of Transport (DOT) in Abu Dhabi announced through its parking department "Mawaqif," that the application for parking permits or their renewal, as well as fine payments for parking violations shall be proceeded via its website (https://dot.gov.abudhabi/en/home  ). The initiative is part of DOT's digitalisation of its services in an effort to improve operational efficiency and the quality of services offered to customers. "The digitalizing of these services enhances the digitalization process that DoT is undertaking to transform all of its services to be offered online," said the DoT statement. "This aims to facilitate the services offered to the customers and increase their levels of satisfaction." This initiative was operated by a qualified team from the DoT that monitors the requests submitted online regularly and resolves all the issues reported by the customers. The DoT said it's keen on constantly using innovative and sustainable techniques to deal with parking issues in the capital in the best manner, and to facilitate the use of public parking spaces efficiently, and easily for residents. Some residents have over the past few weeks visited the Mawaqif offices to renew their residence permits but were being told to do it online. Indian expat, Mohammed Rafiq, said: "I visited Mawaqif office at the Abu Dhabi main Bus terminal last week, but I was told by officials there that the service is only done online." "I had to drive back to my office and renewed my residence permit from there. I didn't know about the new initiative, but it's a good one." Another resident, John Daniel, a Filipino national said: "The new service is hassle free. It allows residents to obtain electronic permits without having to visit the Mawaqif offices."